Want to ensure your park home stays in great condition, but worried about the hassle and expense? A GoldShield Care plan could be the answer. Read our FAQ to find out whether a subscription is the right choice for you. What is a GoldShield Care plan? GoldShield Care plans are designed to take the hassle out of park home maintenance. You pay an affordable monthly subscription, and we'll help ensure your park home stays in fantastic condition. You can access the full terms and conditions of GoldShield Care for more information. Can anyone sign up for GoldShield Care? 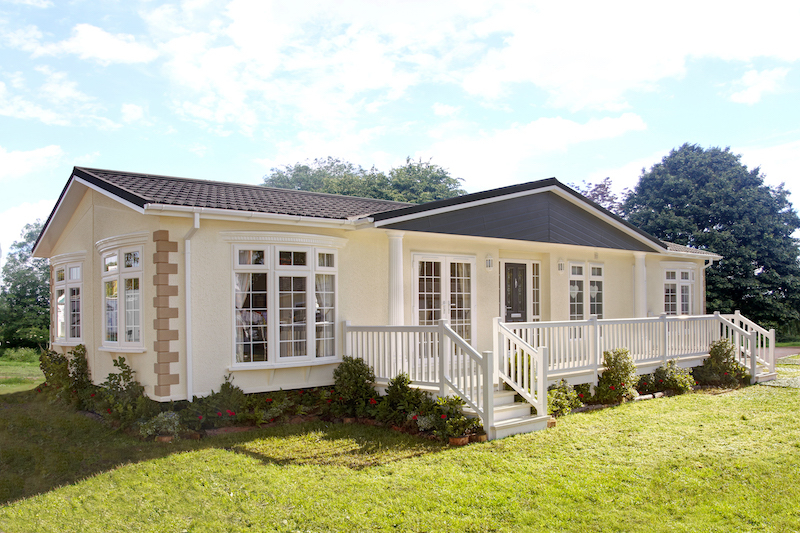 Yes, if you own a park home in the UK, you can sign up for GoldShield Care — even if you don't have a GoldShield Warranty or your warranty has expired. What are the benefits of a GoldShield Care plan? Keep your park home in great condition: By helping take care of your park home maintenance, a GoldShield Care plan ensures that your park home looks its best and remains in great condition for longer. Avoid DIY: Conducting your own park home maintenance can be difficult, particularly if you have mobility issues. You also risk causing bigger problems or invalidating your warranty. Signing up for GoldShield Care ensures that a professional will take care of everything for you. Simple budgeting: Our low, monthly subscription fee makes it easy to budget for park home maintenance. Our plans can also help protect you against unexpected repair costs, which would otherwise wreak havoc on your finances. Reduce hassle and worry: With a GoldShield Care plan, you can rest assured that your park home is in good condition. You also don't have to worry about booking in inspections and choosing the right contractors. Meet your warranty obligations: If you have a GoldShield Warranty, signing up to GoldShield Care ensures that you meet all your obligations as the park home owner. Take look at our guides to understanding your warranty and keeping your warranty valid for more information. Is a GoldShield Care plan worth the money? Our GoldShield Care plan (£24.99 per month) is worth it for the annual inspections alone, as these typically cost £300 per year — the equivalent of £25 per month! Don't forget that you'll also benefit from up to £100 of minor repair costs. Our GoldShield Care Plus plan (£44.99 per month) comes with all these benefits, plus we'll cover the cost of mastic renewal and painting labour, which can cost hundreds or even thousands of pounds. GoldShield Total Care (£54.99 per month) provides all the benefits of GoldShield Care, plus the paint/colour wash and labour for external and chassis painting — which typically cost £3,450! This plan also covers mastic renewal. Our Goldshield CanExel Care (£39.99) will provide all the benefits of the GoldShield Care plan plus the cost of your home's annual wash and cleanse, which can cost hundreds of pounds. Our customers say that GoldShield Care plans are well worth the money not just because of the savings, but because of the convenience and peace of mind they provide too. What are some of the most common problems a care scheme can help to prevent? Rusted chassis: We will check, clean and coat your home's chassis with anti-corrosive paint to help ensure it doesn't rust. Damp: We will coat your exterior walls with a specialist product to protect them from damp. We have options available for both timber cladding and homes with a CanXel finish. We'll even keep track of when your next coating is due and arrange it with you. Obstructed air vents: Your air vents need to be clear to allow ventilation throughout your home. We'll make sure they are cleaned out and nothing is blocking them. Blocked drains and guttering: Your drains and gutters can become blocked by leaves and debris, especially over the autumn and winter. We will take the time to unclog any blockages and make sure that your park home can drain away water easily. Damaged door and window frames: Cracked doors and window frames can cause damp and draught problems. We will inspect each one to make sure that your frames are properly sealed and apply new mastic and sealant to fix any problems. 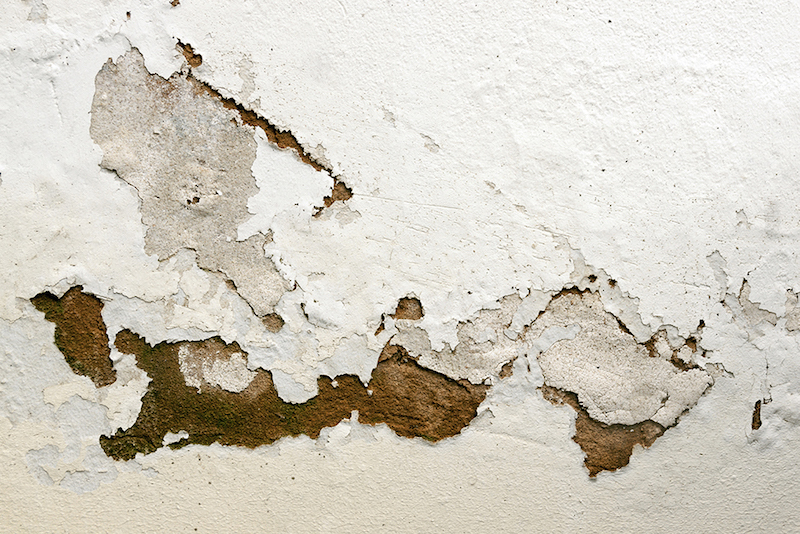 Hairline cracks in walls: These can be caused by shrinkage in your home's cladding. We'll check to see if there are any, repairing those we find with a quality exterior filler. Damage to roof: Your park home's roof can suffer damage in poor weather conditions. We will check to see if there are any missing or displaced tiles or coverings, and reseal any damage with specialist roofing adhesive. We'll also make sure your chimney flashings are in good condition and replace them if necessary. Will you remind me when my inspections are due? Yes, GoldShield will let you know when your park home is due for an inspection or painting, and our appointed repairer will contact you 6 weeks before to arrange a date and time convenient with you. What happens if my home requires maintenance immediately after I've signed up for GoldShield Care? We will carry out any necessary work that arises early on in your contract, but you will be required to pay additional fees to make up the shortfall. If you have at least paid the first month’s fees, we will ensure that you are offered a cost-effective solution to minimise your initial outlay. You won't be penalised or have to pay any more than you would if you had been paying for the scheme on a monthly basis. We will try to keep the pricing as constant as possible throughout the term of the service contract; however, there may be an increase in the cost of your plan if we are affected by financial factors outside our direct control. Wouldn’t the £100 of minor repairs included as part of GoldShield Care already be covered under my warranty? The GoldShield Warranty covers the structural elements of your home against major inherent defects not known at the time of purchase. The £100 contribution towards minor repairs included in your GoldShield Care contract covers remedial repairs like replacing the mastic around door and window frames or filling in hairline cracks in the cladding. These repairs ensure that the maintenance obligations of your GoldShield Warranty are met and that it will remain valid. By keeping your Warranty valid, any major repair that is necessary will be covered and can be referred to GoldShield. Do I have to sign up to GoldShield Care to keep my warranty valid? You do not have to sign up to GoldShield Care to keep your GoldShield Warranty valid, but doing so is a convenient and cost-effective to ensure you meet your obligations. Find out more here. I wasn’t aware I had any maintenance obligations with the GoldShield Warranty, can I still sign up? If you haven't been able to keep up with the maintenance obligations of the GoldShield Warranty before signing up for our Care scheme, we can arrange a pre-inspection for £149. The appointed inspector will carry out a full check of your home and identify any work that must be done before being accepted on to the scheme. How can I sign up for GoldShield Care? If you want to protect your park home with our GoldShield Care service, you'll be happy to know that signing up couldn't be easier. You can order our Care, Care Plus, and Total Care schemes online here or speak to a member of the team on 0191 258 8170.